Founded in 1899, Burgundy School of Business (BSB) offers top-level Management training programs to French and international students: Bachelor, Master in Management and postgraduate programs designed for recent graduates or professionals. The business school has obtained EQUIS, AACSB, and official Master-Level recognition by the French Ministry of National Education, Teaching, and Research. As well as being ranked by the Financial Times as among the Top Masters in Management for the 3rd year in a row in 2017. The École de Management de Normandie is a business school created in 1871. It has campuses in Caen, Dublin, Le Havre, Oxford and Paris. It is one of the oldest business schools in France and holds EPAS, EQUIS, and AACSB accreditations. In 2015 EMN was selected to appear in the ranking of the Financial Times of the best masters in management in the world. Moreover, the business school currently has over 200 partner universities in 65 countries, and 4,000 students and professionals in training. Founded in 1909 in Angers, France, ESSCA is a prestigious business school offering a wide range of programs and degrees. There are 8 campuses with 3,900 full- and part-time students and 120 full-time faculty. The city of Angers boasts a lively historical town center, a beautiful cathedral, a unique 12th century fortress and the world’s longest medieval tapestry. ESSCA’s international curriculum can boast of an international partner network of over 212 universities in 55 countries. In addition, ESSCA was accredited by AACSB in May 2014. ESSEC Business School, one of the leading institutions in Europe for business education, was founded in 1907. It offers a unique learning experience and a comprehensive range of programs that have evolved with student needs, corporate developments and the ever-changing business environment. Accredited by AACSB and EQUIS, ESSEC maintains a superior level of academic excellence that is recognized worldwide. ESSEC continues to develop its global presence through its network of 157 partner universities in 42 countries. The Financial Times ranks ESSEC Business School 3rd worldwide for the MSc in Management program and 6th worldwide for the Advanced Masters in Financial Techniques. 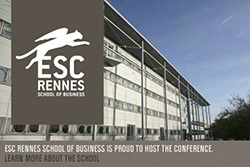 ESC Rennes School of Business was founded in 1990 with the vision to become one of the most innovative and intercultural “global schools of management” in Europe. The school has approximately 4,000 students with 50% being international students coming from over 70 countries. With its diverse student body and faculty composition, ESC Rennes is the most internationally attended Grande Ecole de Commerce in France. Currently, ESC Rennes has 191 partner schools. It has received international accreditation by AACSB (2012), AMBA (2013), and EQUIS (2014). 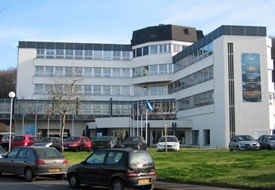 EDHEC (Ecole De Hautes Etudes Commerciales du Nord) is an upper-level business school located in Northern France. It was established in 1906 and is one of the earliest schools to implement an elite educational system. With over 100 years of history, EDHEC Business School is amongst the leading business schools in Europe. EDHEC Global MBA is an intensive 10-month program that offers a truly global experience. On the other hand, EDHEC Executive MBA offers a high-quality, flexible, part-time management training and leadership development program me. Apart from France, EDHEC has recently established separate campuses in London and Singapore. Every year it attracts students from all over the world and as of today it already has 20,000 alumni across 100 different countries, making up a strong network. In addition, it is one of the few business schools in the world to obtain three main international accreditations, AACSB, EQUIS, and AMBA, EDHEC has joined the highly exclusive club of business schools with the prestigious Triple Crown. In 2012, it was ranked 25th out of all the business schools in Europe by the Financial Times. 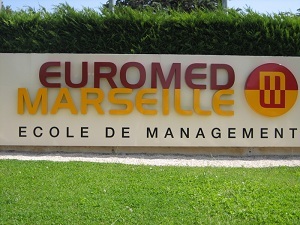 BEM (Bordeaux) and Euromed Management (Marseille) are merging to create KEDGE Business School. 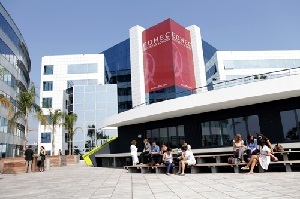 The beginning of the 2013 academic year will mark the first year for KEDGE Business School students. At the end of 2013, a new European campus will be open and at the end of 2014 a new campus outside of Europe will be open; with the hopes of becoming one of Europe’s top fifteen distinguished business schools within the next five years. Not only does KEDGE Business School have AACSB, EQUIS, and AMBA Accreditations, but also it currently has 10,000 students over 4 continents, a network of 35,000 graduates, and 300 international partners. With KEDGE Business School, the academic community, professionals and students aim to explore new horizons and assist organizations and territories. It will offer a wide range of undergraduate and postgraduate courses directly accessible after the Bac, preparatory classes for the “Grandes Ecoles”, or after a first level degree. Personal development, creativity and responsibility will be central to KEDGE Businss School. 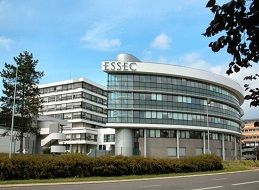 France Business School was established in 2012 with the mergence of four of France’s top business schools, including ESCEM School of Business an Management Tours-Poitiers, ESC AMIENS PICARDIE: Ecole supérieure de commerce, ESC BRETAGNE BREST: Ecole supérieure de commerce de Bretagne, and ESC CLERMONT: Ecole supérieure de commerce de Clermont-Ferrand. France Business School currently has 5 campuses in France and it plans to set up international campuses in China and India in 2013, in the hopes of establishing sister school relations with 300 top universities over 57 different countries. To date there are over 30,000 alumni spread out at over 83 different countries. 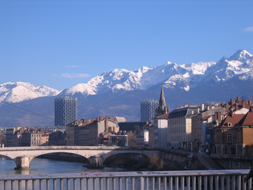 Grenoble Ecole de Management was founded in 1984 by the Chambre de Commerce et d’Industrie de Grenoble. Since its establishment Grenoble Ecole de Management has been dedicated to higher education in business and management in France, featuring its unique programs in management of technology and intercultural management. Grenoble Ecole de Management also highlights the value of each student to serve in global enterprises. Furthermore, the school is of one of few business schools in the world that has acquired AACSB, AMBA, and EQUIS international accreditations. Grenoble Ecole de Management was also ranked 5th globally by the Financial Times Masters in Management in 2010. 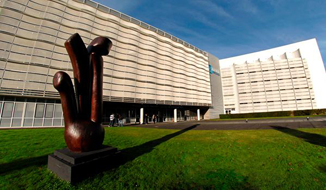 Audencia Business School was established in France in 1990. The school’s ascension as a European-accredited teaching and research center in just 20 years can be attributed to the school’s active administration. Additionally, Audencia Business School is one of only a few business schools to have acquired three top international accreditations- EQUIS, AACSSB and AMBA. Additionally, the university is dedicated to internationalization and innovation. At present, the school cooperates with more than 100 top sister schools worldwide. Among its 3,000 current students, more than 20 percent of them are foreign students spanning more than 50 nations. Audencia Business School’s general performance was honored with the rank of 13th in The Financial Times’ Masters in Management Rankings in 2009.